I am so excited to tell you that I am a Musselman’s Apple Butter ambassador for 2015! Over the next several months, I will be sharing recipes that include apple butter. This Apple Creme Brulee recipe is my first apple butter post of the year. 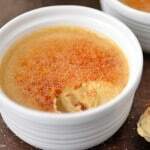 Crème brûlée is one of those recipes that seems so fancy, yet it is really easy to make. You can impress your dinner guests and one of the best things is that most of this recipe can be made ahead of time! 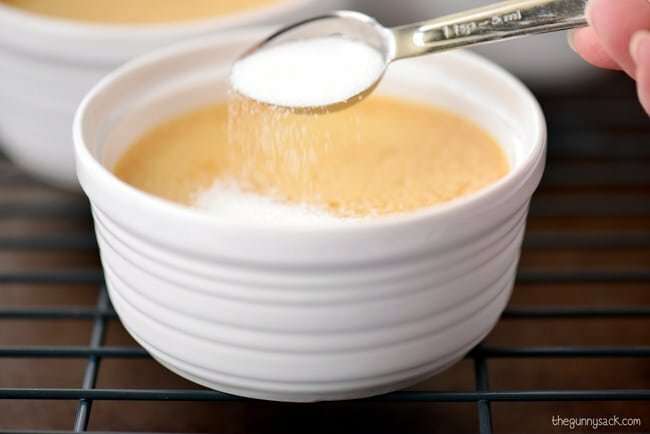 There are only four ingredients in this apple crème brûlée recipe: Musselman’s Apple Butter, heavy cream, granulated sugar and egg yolks. Musselman’s Apple Butter is made with American-grown apples and has a great, unique taste that can enhance both sweet and savory recipes. Apple butter is more than just a spread. 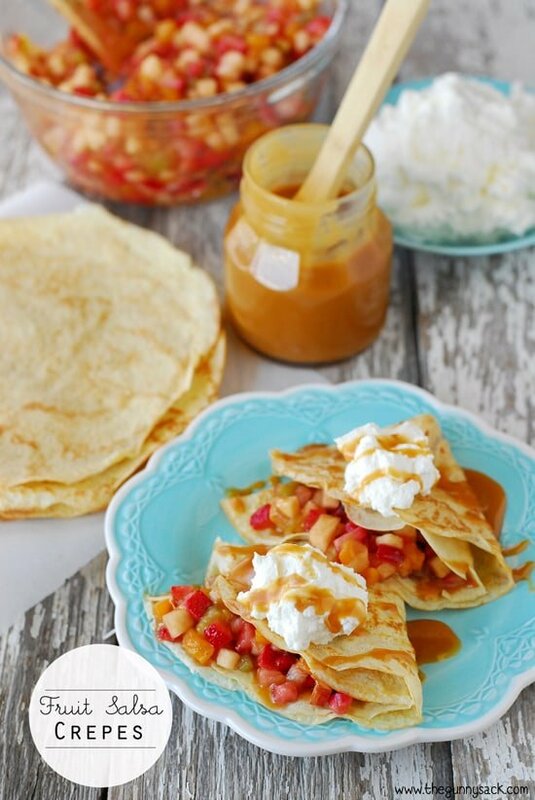 Last year I shared two popular recipes with Musselman’s Apple Butter: Caramel Apple Truffles and Fruit Salsa Crepes. Start by bringing a large pot of water to a boil and also by preheating the oven to 325 degrees. 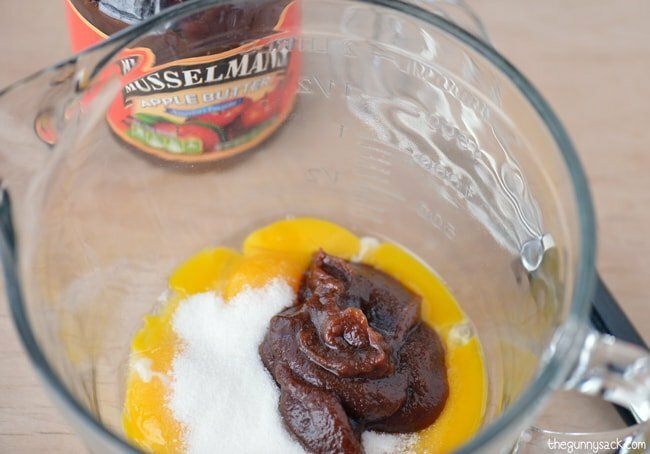 Then, whisk together five egg yolks, 1/3 cup of granulated sugar and 1/3 cup of Musselman’s Apple Butter. Heat two cups of heavy cream over medium heat until it starts to get bubbles along the edges. 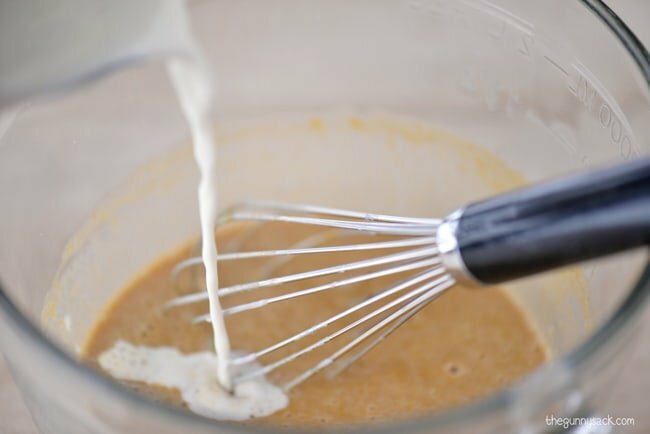 Slowly pour about 1/4 of the cream into the egg mixture while whisking constantly. 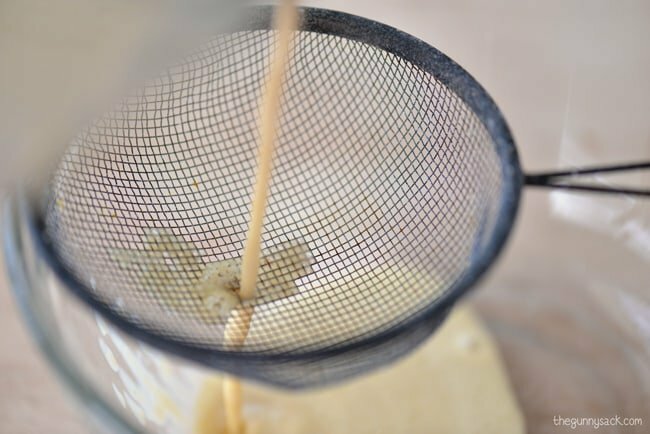 Then, slowly pour in the rest of the cream while whisking constantly, until combined. Place 4-6 ramekins in a roasting pan and divide the custard between the ramekins. Carefully pour enough hot water into the roasting pan until it comes halfway up the sides of the ramekins. 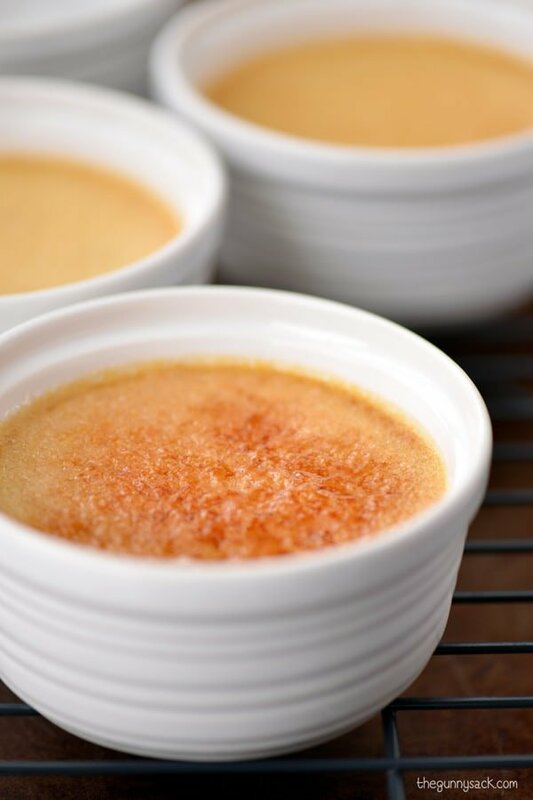 Bake at 325 degrees for 40-45 minutes, until the crème brûlée is set, but still trembles in the center. 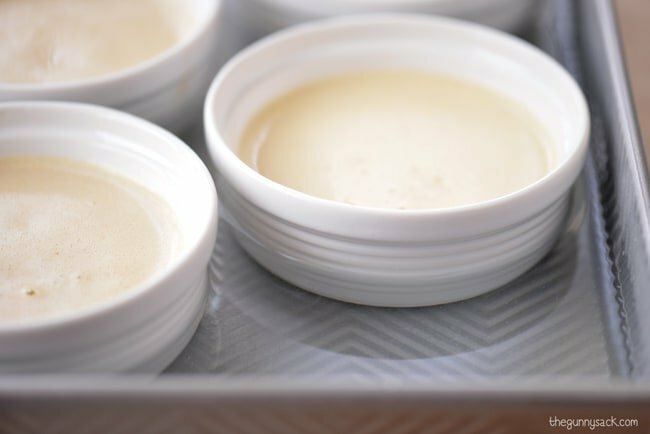 Place the crème brûlée in the fridge to cool for 2 hours. 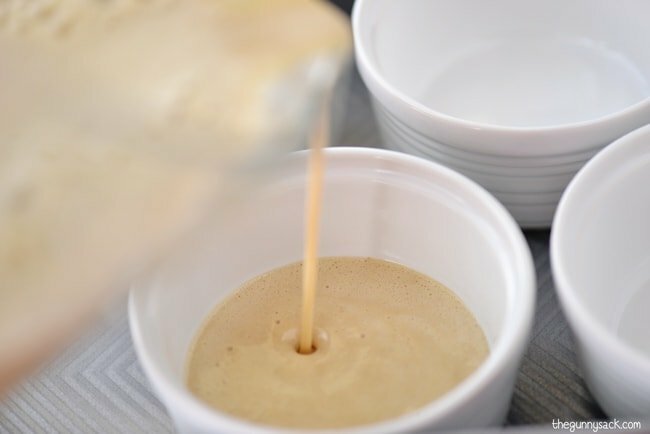 You can cover the crème brûlée and keep it in the fridge for up to 3 days. 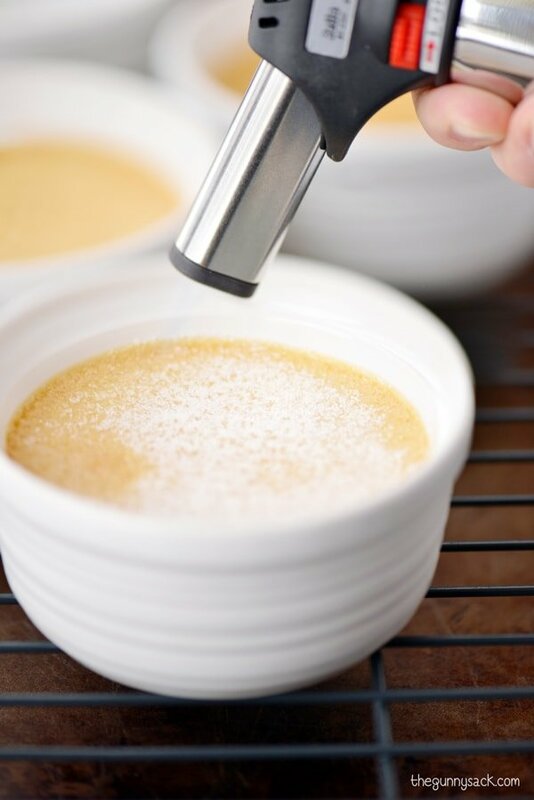 Before serving, remove from the fridge and sprinkle each creme brulee with one teaspoon of granulated sugar. Caramelize the sugar with a kitchen torch slowly moving it back and forth about 3-4 inches above the sugar. If you do not have a kitchen torch, caramelize the sugar under the broiler for 2-3 minutes, watching carefully so that it doesn’t burn! 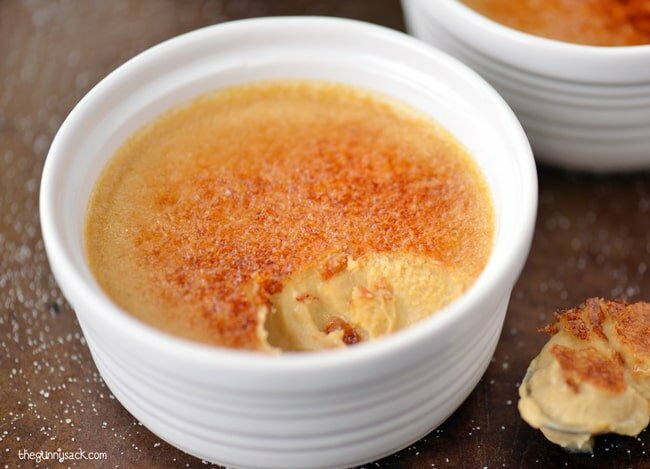 Serve the Apple Crème Brûlée while it is still cold and savor the delicious, creamy apple butter custard with the crunchy, caramelized topping! Everyone said the crème brûlée was fantastic and they thought the burnt sugar on the top was the best part. Disclosure: I made this Apple Creme Brulee Recipe as part of a sponsored post for Musselman’s Apple Butter. Can you use apple sauce or butter instead of apple butter? Creme Brulee is my FAVORITE, and an apple version?? Perfect! Great idea! Creme brûlée is a favorite around here! Love the addition of apple butter! Yay for apple butter! Who knew it could be used for such decadent dessert like a creme brûlée?! I need to try some apple butter soon. 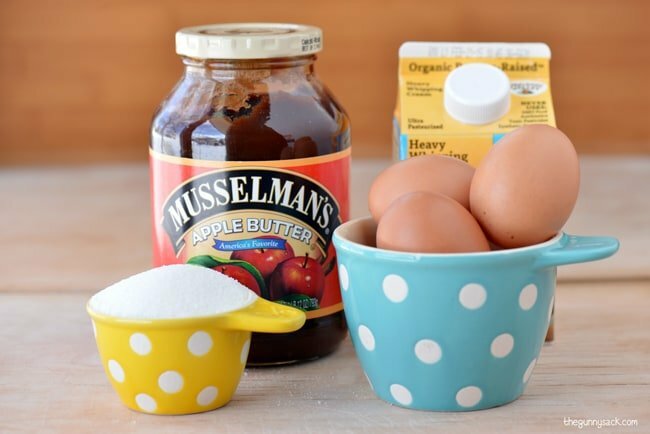 Musselman’s is one product that is always welcomed in my house, wonderful product. Looking forward to all the yummy ideas you’ll be posting. 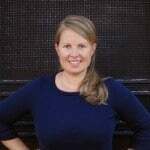 Congrats on becoming a Musselmans ambassador – How fun!! I’m trying to contain myself but I am literally screaming inside. I heart this Apple creme brulee sooooo dang much!!! What an awesome brand to be an ambassador for! Love this treat and can’t wait to see what else you whip up for us! Congrats on being an ambassador! Thats fabulous! Can’t wait to see what other great recipes you come up with this year. This one is amazing! What a great (and new to me) creme brulee option! 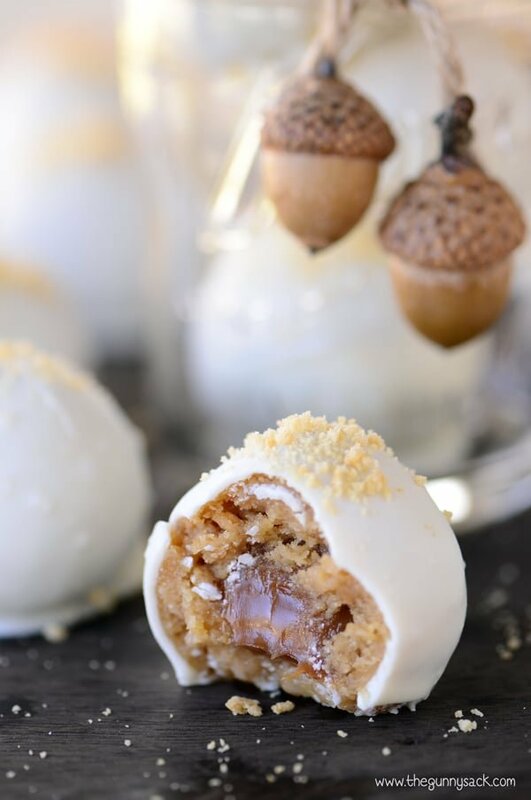 Love how you used the Musselman’s Apple Butter to come up with this treat – yum!! How cool to be an apple butter ambassador – one of the best things ever! And the other best thing? Creme Brulee! This sounds awesome. Muscleman’s Apple Butter is the only brand I will buy…it is so good! Congrats on the fun ambassadorship! I can’t wait to see all the good things you will create with apple butter! This creme brûlée is so fun and creative!!! 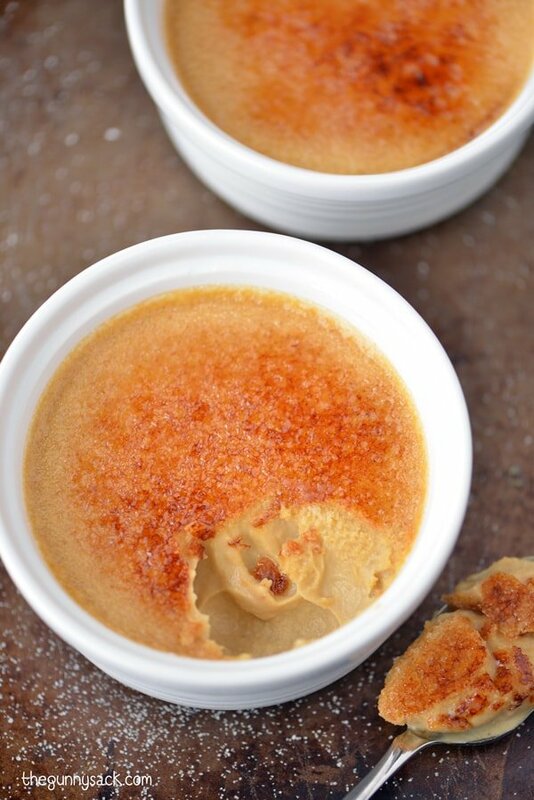 That is a fun twist on creme brulee! I love it. Thanks for this tutorial! I’ve never made anything like this before, but I love apple butter so I’m thinking I could get on board with this! Tonia, Congrats on the Musselman’s Apple Butter ambassadorship! I LOVE this spin on creme brulee!! creme brulee is my all time FAVORITE dessert. I usually stick with straight vanilla bean, but apple sounds amazing!! Oh, this sounds fantastic! I developed quite an obsession with creme brûlée when I studied abroad, but have never tried it this way! I hear ya! I was having intense cravings for it last night while scheduling my blog post! Thanks Mischa! Love how creative this is! I’ve never made creme brulee, but I’m pretty sure I need an excuse to get a blow torch 😉 Pinned! I know! I had to go out and buy one even though you can caramelize the sugar under the broiler. Thanks Ashley! Oh my goodness! I love Musselman’s apple butter! Congrats on being ambassador! This creme brulee sounds delicious. I love how thick and creamy your custard is. Oh, where did you get those adorable ramekins? Thanks Miranda! I bought the ramekins at Target. This sounds really good! I love apple butter — never thought about using it like this! Thanks Marye! I love that there are so many ways apple butter can be used! This is just the sort of dessert I’ve been craving. It looks completely comforting – great use for apple butter too! Yes! Creamy, crunchy, comfort food! Thanks Faith!